If you've spent even five minutes on my Instagram account, you'll know that I'm a total coffee fiend. Nothing helps me usher in a new day more than a hot cup of the stuff, and now I'm prescribing to the "outside in" model of living by using it on my skin as well. Hey, waste not want not, right? 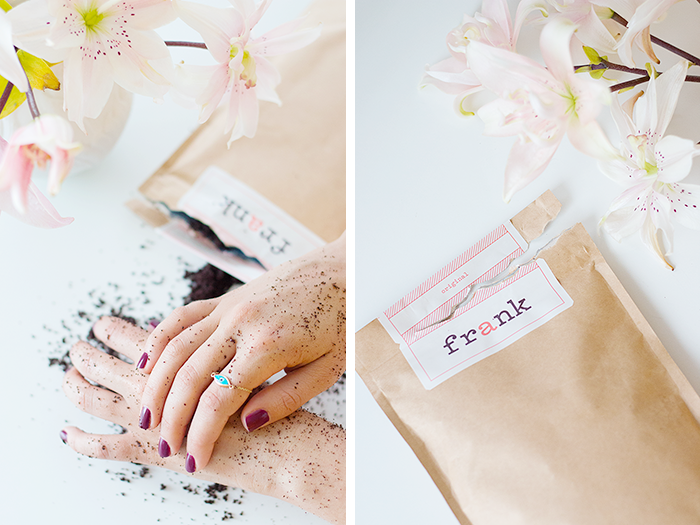 Coffee scrubs are known for their many skin-related benefits, so here are five reasons to save those morning grounds of yours, or if DIY's not your bag, try a fancy scrub like Frank's. 1. 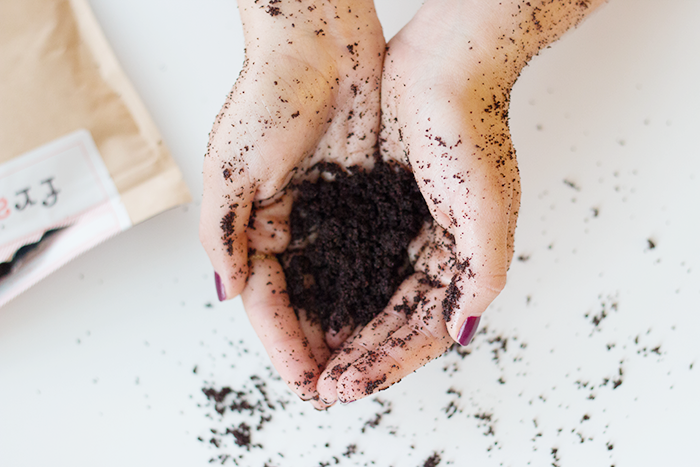 Improved texture and circulation — Coffee is rich in antioxidants, which helps reduce inflammation, and the caffeine it contains draws out the excess moisture in the skin for a smoother, firmer look and feel. 2. Temporary cellulite reduction — Herein lies coffee's moisture-sucking benefits again! These scrubs have been shown to reduce the appearance of cellulite for a few hours at a time — need I say more? 3. 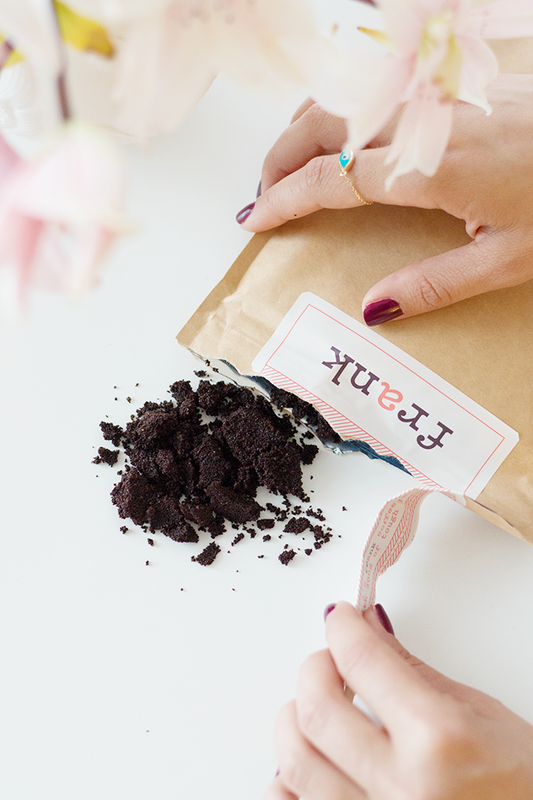 Increased youthful-looking skin — Coffee grounds act as a mild physical exfoliant to remove dead skin cells and reveal more vibrant, younger looking skin. 4. Reduced varicose vein appearance — caffeine acts as a vascular restrictor, which means it can reduce blood cells and help diminish the look of varicose veins (are you listening, mom?). 5. UV protectors included — evidently coffee naturally contains UV protection to help block the sun's harmful rays, so you can add it to your anti-aging skincare repertoire. I just ordered some after seeing it on instagram for months now. Can't wait to start using it. I love the smell of coffee!